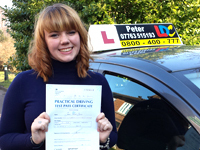 Congratulations Holly on passing your driving test 1st time with just 3 faults. Having been recommended to me by Hollys best friend at University, the pressure was on for both of us to produce the right result and it was achieved with this success. 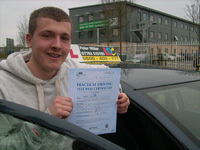 Sibling rivalry is common and Joe has matched his brothers success (Sam) in passing his driving test 1st time.. Joe said "this result will change my life forever and I can't thank Peter enough for all his hard work" - Thanks Joe for your comment, It was a privilege to train both you and your brother using the LDC system and I look forward to seeing you on the road soon. 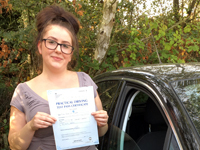 Huge congratulations to Rebecca who has passed her driving test. The success achieved came as a result of great determination shown over the past few months of training and is fully deserved. 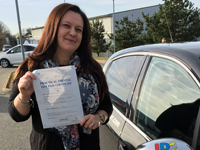 To mark the end of the old style Driving Test, Leanne passed 1st time having completed a semi intensive course using the LDC learning materials. 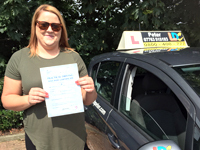 Despite suffering with many nerves on her big day, Leanne stayed strong and managed to impress the examiner with a solid drive around the streets of Ipswich - Congratulations and enjoy driving your little Mini. 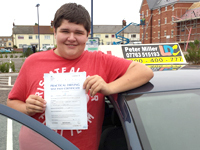 Congratulations Brandon on passing your test 1st time with just 4 faults. 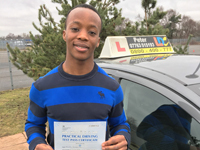 As with many others, Brandon was recommended to me via a previously successful pupil of mine and I'm so pleased I was able to help Brandon achieve his ambition of learning to drive. Peter was recommended to me by my neighbor who had also passed earlier this year learning with him. I am pleased I took their advice and decided to make contact and arrange lessons. Having now passed, hopefully I will be able to ditch my bike soon and start driving to work. Congratulations to Calder who has passed his driving test on Halloween demonstrating that his driving ability is no way scary!! That's the Spirit and happy driving back to Croydon each weekend. It's a Hat trick !! With both Brother and Sister both passing their driving tests with me, the pressure was on when the other sister Jade decided to learn. Well today she passed 1st time and completes the sibling rivalry. Jade went on to say "thank you so much for today, you are Amazing !!" 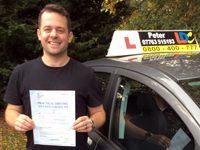 Peter was recommended to me by my sister who passed her test 1st time learning with him. 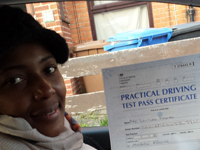 I am pleased I took her advice and also matched her success having passed 1st time with just 5 faults. Thank you for all your help. 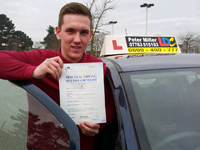 Congratulations to Greg on passing his driving test 1st time with just 2 faults. Having been recommended by a work colleague, Greg took onboard the LDC way of coaching and it paid off with a superb test result. 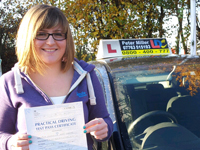 Having been recommended by a work colleague I contacted Peter for driving lessons. 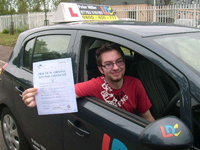 I am pleased to say this was a great decision to learn with Peter as I have just passed 1st time with 3 driving faults. Thank you for all your help. Thank you so much for all your hard work and putting up with me. You are a credit both to your profession and to your family with all the effort you put in with your dedication to the job. Peter was recommended to me by a couple of previously successful learners and I am very pleased I chose him as my instructor. 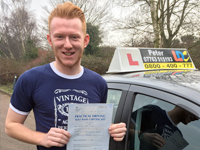 Peter has taught me the joys of driving and each lesson we had was relaxed and great fun! 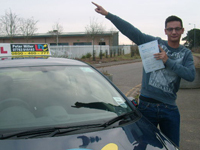 The entire process of learning was very professional and concluded with me passing 1st time. My husband tasked me with finding him a driving instructor, something I felt that he should do himself as he would be the student! He is middle aged with a full motorcycle licence which I explained to Peter during our initial conversation; he was experienced, very knowledgeable and came across as 'paternal'. It was these qualities that made me encourage my husband in Peter's direction From the first lesson it was clear that Peter was patient, calm and has a great sense of humour! He is also very honest and won't book hours that are deemed unnecessary, in fact he actually cancelled some of the pre booked lessons in the run up to the test. 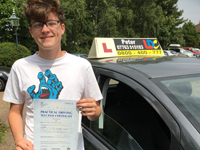 He is also your flexible friend and is happy to work around awkward shifts The dreaded test was booked for 4 months after the first lesson and was passed first time with 0 minors; testament to Peter's fantastic teaching. 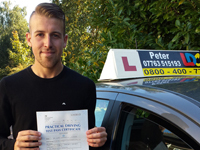 I have no hesitation in recommending Peter, whatever your age, experience or ability; Peter really can teach anyone to drive! I was recommended to Peter from a work colleague and so pleased I decided to ask for his help. Having failed my 1st test some years earlier with another instructor, I began to think driving was not for me. Peter assessed my driving and proceeded to correct my faults. I am really grateful for all his help and can now proudly say I am a full licence holder. I am really pleased I chose Peter for my driving tuition. 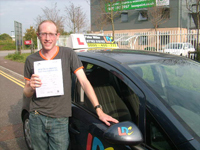 His knowledge and expertise in teaching helped me to pass my test and will allow me to drive to work and take my family out on day trips. Thank you once again. Having just passed my driving test, I couldn't be happier. Training with Peter was the best and his patience and determination inspired me to achieve my success. My face aches from all the smiles after my triumph behind the wheel. Thank you Peter for all your help. 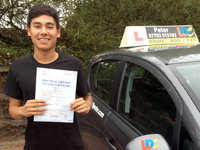 Thank you Peter for all your help in teaching me to drive, I'm so pleased I was recommended to contact you for training. Having passed with just 1 driving fault, I am now able to be independent and make use of my own car. I am so happy I have passed my driving test. Learning with Peter was enjoyable as he is easy to get along with and his teaching style is very relaxed. At times in my training I lost confidence in my ability but Peter encouraged me throughout to continue and I am so pleased I listened to his advise. I can now use my car to help with my work and ferry my children around. No more taxis for me !! I have just passed my driving test and it's honestly the best day of my life. I am so pleased I chose Peter as my instructor and believe he is the best instructor in the world. Thank you so much for all your help and encouragement. 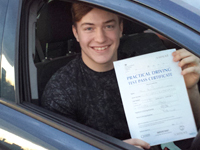 Many congratulations Sam on passing your test - you have worked really hard for this and it's well deserved. Sam went on to say "I highly recommend Peter as a driving instructor, he certainly knows his stuff " Thanks Sam, I should do - I've been driving a long time !! 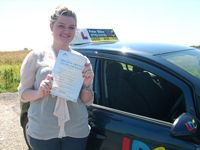 Congratulations Becky on passing your test 1st time with just 3 driving faults. 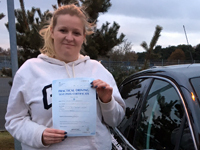 With her husband Dean having passed 1st time with me, Becky was under a little pressure to match that success and she achieved this with an excellent drive despite feeling very nervous. 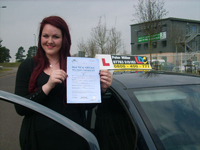 Well done Becky and drive safely. 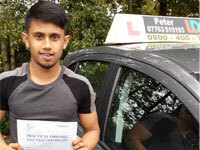 Very well done Roti on passing your test 1st time with just 1 driving fault - Roti went on to say "I contacted Peter for driving lessons as he was recommended to me by other people who had also passed their tests with him and he didn't disappoint. The easy manner in which he conducts lessons and the LDC method of coaching was great to follow and played a major part in my success"
I'm absolutely Buzzing to have passed my test!! And what better than to do it on my birthday, the best present I could have asked for!! Learning to drive in such a short amount of time couldn't have been achieved without Peter Miller. Thanks mate for making this possible, and I will definitely recommend you to anyone looking to learn to drive and learn quickly!! 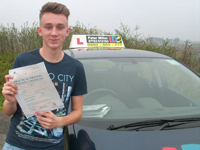 - Callum It was a pleasure helping you to achieve your success, good luck for the future and drive carefully. 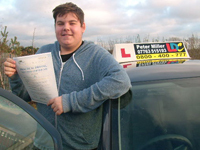 Callum Young was obviously pleased with his success this morning and went on to say "It was great fun learning to drive with Peter Miller who allowed me to learn at a pace suitable to me. 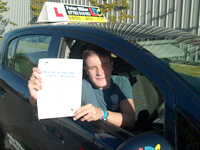 Having passed at my 1st attempt, it shows the thoroughness of the training given". I am very happy to have chosen Peter as my driving instructor. I will be asking him to teach my wife to learn to drive. 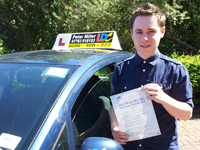 Learning to drive with Peter was great fun, when I first began I was quite nervous but by the end of the training I had gained a great deal of confidence. I would highly recommend Peter to anybody thinking of learning to drive. 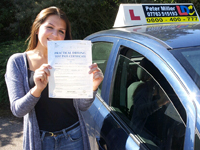 Congratulations Adelaide on passing your test with just 2 driving faults. Now you will be able to drive to work and not have to worry about taxis. 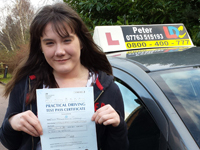 Despite the terrible weather, many congratulations to Lauren Wells on your test this morning and passing 1st time. Lauren was very pleased (to say the least ) and said "Learning with Peter Miller was lots of fun and he's a great instructor. I would highly recommend the old boy as I passed 1st time! 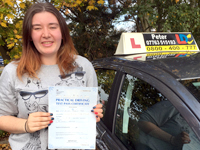 Thanks Peter"
Christmas has come early for Jacq, congratulations on passing your driving test this morning with just 3 faults. Jacq was so pleased she said "Thank you Peter Miller for being thorough (a perfectionist actually-haha) and helping me pass my test.Thank you for always reminding me to chill and to concentrate, and for all the laughs. You are the greatest Instructor ever! I had so much fun learning to drive. Thank you very much". 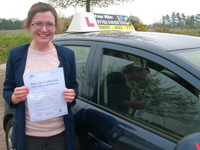 Many congratulations to Jenny Hardwicke on passing her driving test today, 1st time with just 4 faults. Jenny was so pleased with the result she said "Thank you,Thank you, Thank you ! I set myself and Peter a tough challenge with a very short amount of time to work with due to my changing circumstances - but WE did it! Even when I was having a "wobble" Peter made me feel safe and confident and we had fun! 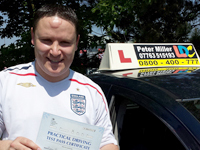 I would definitely recommend learning to drive with Peter Miller"
Its been another successful week with an early morning start today resulting in a test pass for Chris, having passed with just 1 driving fault Chris went on to say "Peter is the best driving instructor for me, he made sure i was 100% prepared for my test with his considerable knowledge and experience. He reassured me throughout the learning process and allowed me to focus for my big day". 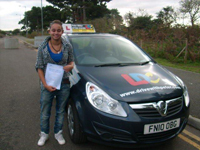 Huge congratulations to Shannika Grant on passing her driving test today. 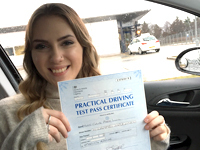 This was well deserved and Shannika went on to say "I cannot thank Peter Miller enough for helping me, when I first approached Peter my confidence was extremely low and now I am confident with my driving and so pleased I chose Peter as my instructor". Thank you for everything. Thank you Peter for teaching me to drive. You are the best instructor in Ipswich, no I mean in Suffolk, actually I really mean in the World !! Peter is an amazing instructor who has worked wonders with me. I am sure I must have been his most nervous learner he has trained, he has worked very hard with me over the last few months and I am so pleased I have seen it through and passed my test. I have and will continue to recommend Peter to everyone I know looking for driving lessons. Thank you Peter for all your help. 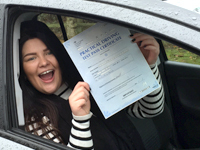 Many congratulations to Abbi on passing your driving test this morning 1st time. 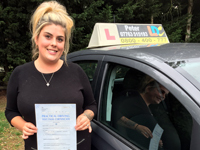 Abbi went on to say "Peter Miller has made me more confident in my ability to drive, his teaching style suited me and I'm incredibly glad I chose to learn with him. 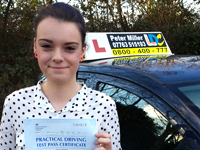 Congratulations Abbie on passing your driving test. 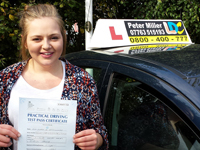 Abbie was so pleased and said "I highly recommend Peter Miller as a driving instructor. He's been incredibly patient with me and we've had a really good laugh during my lessons. 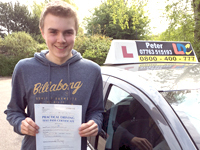 I was very nervous about learning to drive but Peter was wonderful and kept me calm (almost) every lesson." After taking lessons with Peter I am so pleased I was recommended to him and don't believe it would have been possible to have passed without his help and expertise. I have just passed my driving test first time with only 3 driving faults. 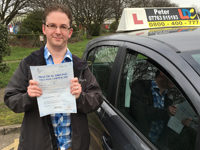 Peter is an excellent instructor who was recommended to me by my boyfriend who had previously passed with him. Peter helps in a style of tuition which pushes you to achieve the very best in learning and provides a belief that you will succeed as I did. 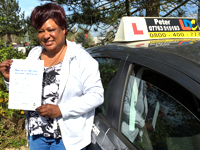 Having taught my Mum to drive, Peter was therefore highly recommended to me and I am very pleased I have passed my test 1st time with 4 faults. Peter is easy to get along with and I found my lessons to be very enjoyable at all times. Now it is my turn to recommend anybody looking to learn to contact Peter. I'm really pleased I chose Peter as my driving instructor. His knowledge and expertise helped me to pass my test with just 1 minor and I will be forever grateful to him for his teaching. Congratulations to another new driver having completed their training with Peter Miller, Khaled Aziz added " Well what can i say? Peter, its been a pleasure to learn from you, i've enjoyed every lesson with you over the last few months and i'm a little sad it's come to an end. You taught me very well and kept me calm when i was at the early stages of learning. Thank you very much and i wish you all the very best for the future." Thanks Khaled for the testimonial and good luck to you with your forthcoming studying at Nottingham University. 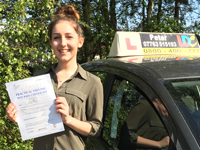 Congratulations to Cam on passing her driving test with just 3 minors. Having only recently moved down from Liverpool, Cam decided the best way to learn quickly was to contact me and follow the LDC training that I offered. 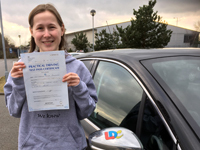 Now having passed her test, Cam is looking forward to working locally and being able to drive back to visit family and friends in Liverpool when she wants. 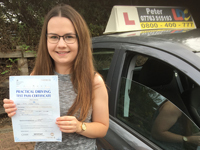 Many congratulations to Harriett on passing her driving test - despite being very nervous, Harriett managed to hold everything together and was overjoyed when told of her success. 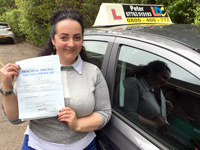 Many congratulations to Maria who has passed her test 1st time with just 4 driving faults. 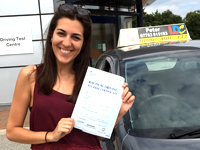 This result was all the more impressive as Maria is originally from Spain and working in the UK as an Au-Pair. 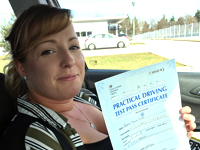 With no previous driving experience, the learning took place over a period of 8 weeks using the LDC workbook and the CCL technique. Peter Miller is a Supreme driving instructor and having just passed my test 1st time with 1 minor mark, I am very happy to recommend him and LDC for training. I couldn't be any more happier than I'm feeling right now. 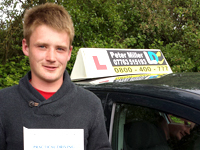 Peter has stuck by me right to the very end and has helped me pass my driving test. At times when learning I am sure I gave him many reasons to give up on me but he kept his faith in me. I am today very thankful for all his help and as far as I am concerned he is the number 1 driving instructor in the world. Thank you and hope to see you soon on the road in my little car. 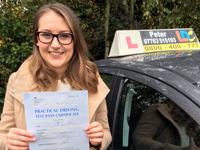 I am so pleased I chose Peter to help me learn to drive and now that I have passed my test I will be able to drive my recently purchased car to college. Thank you for all your help. 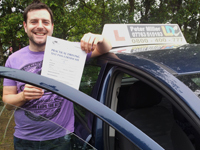 Peter Miller has been an excellent driving instructor, I have really enjoyed learning with him, he has been so encouraging and supportive. 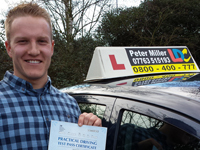 I have just passed my driving test using Peter Miller as my instructor. Peter was brilliant with his teaching methods and has all the patience in the world. Thank you for all your help. 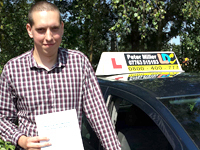 I'm really pleased I have passed my test first time with Peter Miller as my driving instructor. 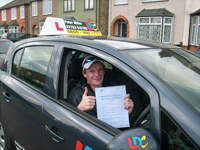 Using the LDC method of teaching, Peter is a top man and I would recommend him to anybody looking to learn to drive. 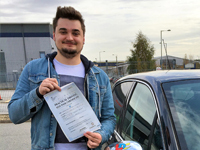 Peter Miller is a great driving instructor, he gave me plenty of time and patience whilst teaching me and without him i wouldn,t have passed my test first time ! Thank you for all your help. 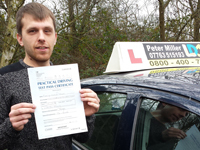 Peter is a brilliant driving instructor who is really determined in helping you pass your test. All lessons are conducted in a friendly way and if you are focused as he is, he will get you on the road in no time. Peter Miller has different styles of teaching for everyone, always with a laugh but has a serious side as well. He teaches above and beyond what is expected and I passed first time because of this - I will definitely be recommending learners to him in the future. thanks peter! Congratulations to Jon on passing his driving test today first time, he went on to say "Peter Miller is a brilliant instructor who he would recommend to anybody looking to learn to drive" He added "I always looked forward to my lessons which were easy to follow and enjoyed lots of laughter along the way". 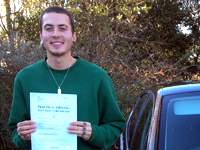 Another very satisfied pupil with his certificate, having passed first time with just 2 minors - Dean says this achievement will change his life and he is so pleased he chose Peter to teach him to drive. Using the easy to follow LDC workbook, each lesson was well organised and enjoyable. Dean is proud to be part of "Team Miller"
Peter Miller is a really good driving instructor. 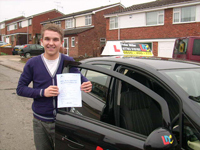 I am so pleased I chose him to teach me to drive and by using the LDC workbook I found the methods very easy to follow. 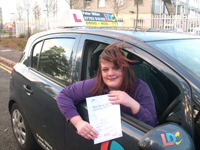 I passed my test 1st time with just 1 minor mark and now look forward to driving my own car to work. 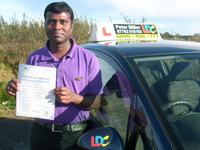 Passing my driving test with Peter as my driving instructor using the LDC method was an enjoyable experience. He made learning very easy to understand and gave me the courage to succeed. Thank you for all your help. I can honestly say I made the best decision choosing Peter as my driving instructor. Peter has the patience of a saint and it has been so much fun to learn with him using the LDC methods of training. I could not have asked for a better teacher !! 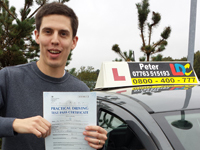 Peter is a brilliant instructor who was recommended to me by a friend who he had also helped learn to drive. His lessons are easy to follow and he's a nice guy who just wants to help you drive safely. I'm really pleased I chose Peter as my driving instructor, I couldn't have asked for a better person to help me learn to drive. Each lesson was fully explained to me using the excellent LDC teaching methods and easy to follow. 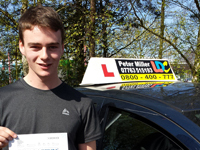 Peter Millers knowledge and skills provided great guidance; his driving instruction has given me the ability and the confidence to pass my test and hit the road on my own. I am so pleased i was recommended to "discover driving with peter". I have just passed my driving test with just 3 minor marks. 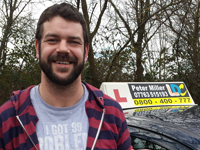 Peter was recommended to me by a friend who had also used Peter to learn and I now would also be happy to recommend Peter to anyone looking for driving lessons. I highly recommend anybody looking to learn to drive to contact Peter Miller. He is very patient and helps you understand all aspects of driving, allowing you to learn at a pace you feel comfortable with. Thank you drivewithpeter for a pleasant driving experience over the past year. 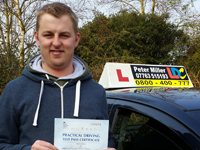 Peter Miller is very encouraging and patient and I would definitely recommend him to anyone who is wanting to learn to drive. 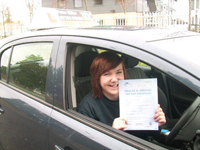 I have passed my test today with no minor marks - Thank you. 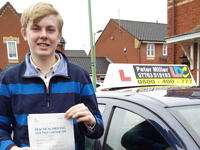 I'm so pleased i used drivewithpeter to help me pass my driving test 1st time. Thank you Peter Miller for all your help. 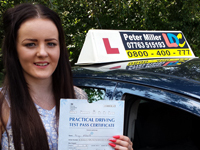 Peter Miller is an amazing instructor and I cant believe I have passed my driving test first time. He's helped me each week and been patient with me when I would find something difficult to learn. He is "brilliant" and I will miss our weekly catch up. I would recommend Peter to everyone who wants to start learning. Thank you so much. 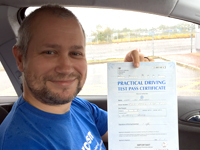 Just passed my driving test first time using drivewithpeter. 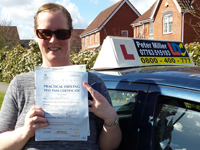 I really enjoyed learning to drive with Peter Miller who is very patient with his teaching. I would definitely recommend anyone looking to learn to contact Peter. Congratulations to Rob Brennan on passing his driving test today in the dark!! Rob wrote: Drive with Peter is fun and easy to talk to. 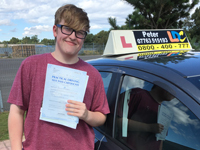 Peter demonstrates a competent and professional attitude at all times and this allowed me to look forward to my lessons and pass my test with just 5 minor marks. Its been a long journey but thanks to Peter I have arrived. Today I have passed my driving test. Thank you for all the laughter and banter whilst learning, although I will miss you I cannot begin to explain how happy this success means to me and my family. OMG !! 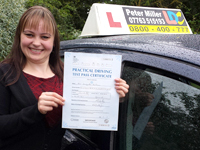 Today I passed my driving test after having lessons with Peter Miller. 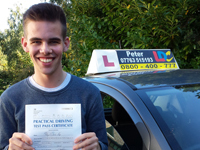 I would highly recommend Peter as I passed first time. There have been many memories created and it has all ended too soon, I will never forget you as you are not only an excellent instructor but also a friend. Thank you for everything. Peter is a great instructor who teaches you everything required to pass your test: he's also a nice guy! 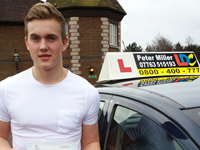 I didn't think I would ever learn to drive and pass my test until I met Peter Miller. 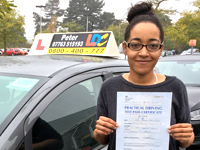 I have passed first time with just 3 minor marks and would recommend Peter to anybody looking to learn. 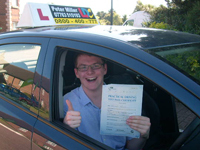 I am really pleased i contacted Peter for driving lessons. His teaching methods are easy to follow and i always looked forward to my lessons with him. Thank you once again for teaching me and i would highly recommend you to anybody thinking of learning to drive. Thank you so much Peter for helping me pass my driving test! I am so pleased to have been taught by you. You helped build my confidence levels when I never could! You made lessons so much fun and taught me to drive to the best of my ability. 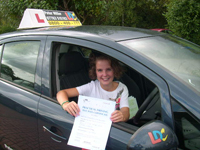 I really cannot recommend you highly enough as a driving instructor! I will miss my driving lessons with you and hope to see you once i'm out on the roads! 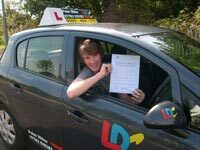 I'm really pleased I chose Peter Miller for driving lessons, I have passed my test first time today with just 1 minor mark. 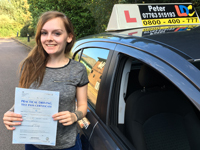 I have just passed my driving test and so pleased I was taught by Peter. I would highly recommend him to anybody looking to learn to drive. I was recommended to Peter from a friend and i am so pleased i learned to drive with him. Peter is very patient and offers lots of help and advise when teaching. Thank you once again for everything you have done. Thank you Peter for helping me pass my driving test first time. I'm not sure any other instructor could have put up with me as patiently as you have and definitely could not have passed without you! I had a few lessons with another instructor before Peter and was put off driving and stopped completely for a few months. 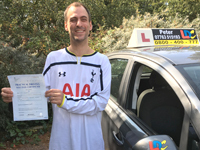 Then i made the decision to ring Peter and knew straight away he was the instructor for me as he is very honest, calm at all times and always explains the correct ways when mistakes are made. I would highly recommend Peter to any one looking to learn to drive the correct way. Thank you Peter for all you have done for me and I will miss our weekly chats and banter. My Partner will be getting lessons with you after the birth of our daughter this year. Once again, thank you for helping to turn my dream into reality...your a legend !! Big Thanks to Peter, I am absolutely delighted with his Instructions. I really enjoyed all our lessons. He taught me how to drive properly, everything is so different from my native country but he explained things very well and now I am not afraid of big roundabouts any more. I passed first time with only 2 Minors can't expect anything better than that. I had a great time and gained so much driving skills & confidence from Peter. He made learning to drive very easy and gave me some great little tips before my test to help! Thanks again! CHUFFED !!! ... 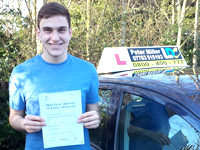 Passed my driving test first time with just 4 minor marks, thank you Peter Miller for all your help. I had lessons with an AA instructor a few years ago but felt that the instructor really wasn't interested in getting me through my test at all. Being in my mid 30's I was worried that I'd left it too late to learn and really lacked confidence. With Peter it has been the opposite, he really put me at ease right from the start, was honest, encouraging and helped me build up my confidence and keep going. Only 8 weeks after I started my lessons I managed to get through my test with only 5 minors on the first attempt and I owe it all to Peter! I could not recommend him highly enough, if you want to be a good driver and pass your test and have fun then learn to drive with Peter! Thanks again for all your help I am going to look at a potential car tomorrow! Thanks to Peter I have passed my test, he is patient and understanding and I couldn't have asked for a better instructor. Thank you Peter for helping me even though i had to put up with your bad jokes. 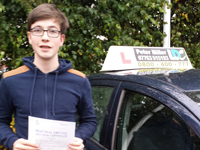 Thank you Peter for helping me to learn to drive and passing my test first time, you are a top man! 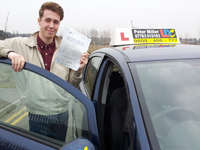 Driving with Peter was an enjoyable experience and I have just passed my test first time. From the very beginning I felt comfortable and at ease, everything is explained thoroughly to ensure a full understanding. Peters banter is very good and helps massively. I would recommend Peter to anyone and everyone. Learning to Drive with Peter was a great experience with plenty of laughs along the way. 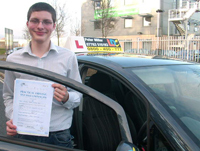 His teaching techniques helped me to obtain the skills to pass my test first time. I would highly recommend Peter Miller. 9 months to the day I started driving with Peter and I have now passed my test first time. At first I was a nervous driver, but after only a few lessons I started to feel that my confidence was improving. Peter puts you at ease when you are driving with his banter! I would recommend 'Drive With Peter' as he is an excellent teacher. 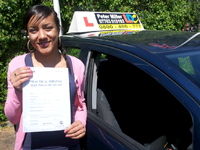 I think Peter is a superb instructor who was happy to concentrate and help me on areas of weakness within my driving. I have now passed my test first time and this is all thanks to Peter. I would just like too say a huge thank you to Peter. Not only is he a brilliant driving instructor, he is a really nice guy. I will really miss our weekly lessons and i would advise anyone to "drivewithpeter". Thanks very much for helping me pass my test, you helped me stay calm and focused at all times. I will definitely recommend you to anyone who is looking to learn. Thank You again. 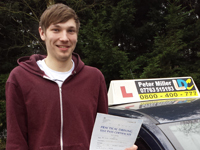 Peter Miller is an amazing and experienced driving instructor who is approachable and friendly at all times. He teaches you in a way that makes you understand all aspects of driving, thank you for all your help. If like me 5 months ago the thought of turning on a car engine terrifies you, let alone getting the vehicle moving, then contact Peter. 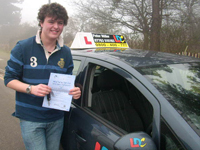 He is very patient and allows you to go at your own pace, which enables you to get the most out of your driving lessons. 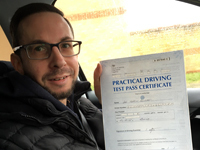 His clear way of teaching makes remembering techniques easy and he brings a laid back and fun element to the lesson which helps with gaining confidence behind the wheel. 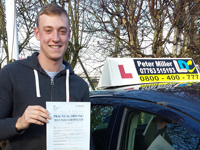 I would highly recommend Peter Miller to anyone looking to pass their test. Thank you! 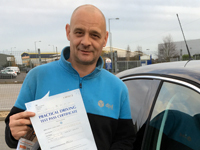 Peter Miller helped me build my confidence and I have passed my driving test with just 1 minor mark, Peter is very easy to get on with and taught me at a comfortable pace. 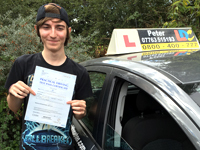 I would highly recommend Peter to anyone that wants to drive safely and have fun whilst learning. Peter is an excellent instructor. After my first lesson I was convinced that Peter was the person to make driving a reality for me. I was right! His relaxed, funny and understanding attitude helped a ton and I am grateful for everything. 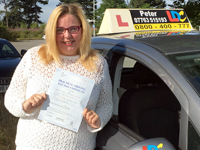 I passed first time and know this is because of the excellent teaching Peter provided. I would absolutely recommend him and will certainly send anyone I know looking to learn his way. I cannot thank him enough. 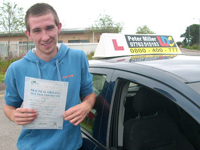 Peter helped me pass my test first time with plenty of laughs and banter throughout the lessons, thank you. Peter is a brilliant instructor, he taught me from start to end with patience and lots of laughs! I would highly recommend him to anyone wishing to learn - especially if you want a dashingly handsome instructor! Thank you so much Peter I couldn't have done it without you !!! I have passed first time and had a great time learning with you !!! 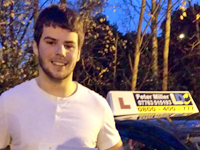 I'm very happy to recommend Peter as a driving instructor, I have just passed my test 1st time with Peter's help. 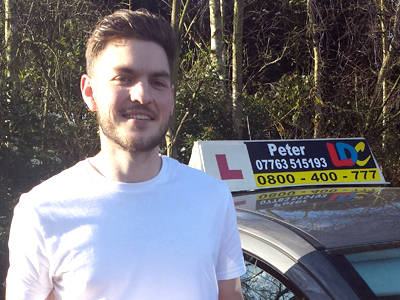 Peter is a great driving instructor and i would recommend him to anybody looking to learn to drive. Thank you Peter for getting me through my driving test. After spending sometime with my previous instructor and almost giving up you gave me the confidence and belief in continuing to learn. Thank you ! 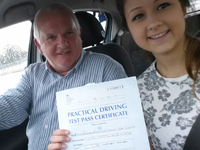 Top driving instructor - Great banter, thats all you need to know !! 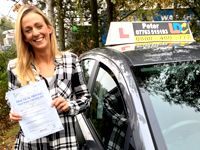 I am really pleased I chose Peter as my driving instructor, each lesson was enjoyable and he explained everything in an easy way that could be understood. I would recommend Peter to anybody looking to learn to drive. Peter is an excellent instructor who is very easy to get along with. I would recommend him to anyone looking to learn to drive! Peter is amazing and the best instructor. I passed my test first time with only 4 minors. I would definitely recommend him. I came to Peter with 2 failed tests behind me from another instructor. 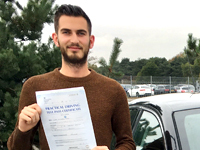 Peter was able to correct my previous faults and build my confidence and now I have passed my test. I highly recommend him !! It was good having you as my instructor and I really enjoyed each lesson. You are a great guy and funny too. I will always remember you, thanks alot. I am so pleased I chose Peter as my driving instructor. He is very kind and knowledgeable. I started as a complete learner and struggled in the beginning a lot. But the way Peter teaches is amazing and excellent. I will recommend Peter to all of my friends. 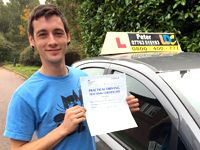 I found Peter to be a very good Driving Instructor and was good to have a laugh with. Overall it was a very enjoyable learning experience. When I decided I wanted to learn to drive during this years summer holiday, many people said I coudn't do it. But with Peter I did and passed 1st time!! Thank you. Brilliant driving instructor! Thanks for all your help Peter in getting me through my test with just 4 minor marks. Peter is a great instructor, I have just passed my test 1st time with only 1 minor mark!! Thanks for everything. Peter was very good at teaching me to learn and progress in my driving. Each lesson, taught me something new, in a way which was easy to understand. A big thumbs up - thank you. I would recommend Peter to everybody looking to learn to drive. He is such a lovely person and really helps the learner to feel relaxed. His approach to teaching is very good as there is a good balance of humour and a level of seriousness. You can sense that he genuinely wants the learner to do their best and he is very good at giving pep talks whenever your confidence is dropping. Thank you Peter. I would highly recommend Peter as a driving instructor. He's adaptable, responding to the needs of the pupil and made me feel confident and capable - no easy task! I've thoroughly enjoyed learning with Peter and would recommend him without hesitation. I've really enjoyed my time learning with Peter. He has the perfect balance between seriousness and light hearted joking ensuring safety but also enjoyment of driving. He explains everything clearly in his teaching and would never complicate matters to cause confusion. I think he would be an excellent choice of instructor for anyone. Thank you for all your help. I have really enjoyed being taught by you. I know I was a challenge but you managed to get me through my test with just 1 minor mark. Thanks again. Peter is a very patient and understanding instructor. 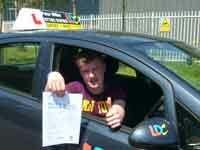 I don't think I could have passed my test with only 2 minors without his help and teaching. He explains everything clearly and in a way I could understand. Thank you so much. Peter was great in teaching me to drive. He is very easy to get along with and we both had a lot of laughs whilst I was learning. 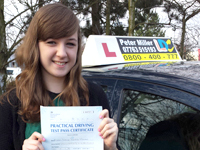 I have just passed my test with 2 minor marks and pleased I chose Peter and LDC for my lessons. I am so pleased I have just passed my driving test with only 2 minors. 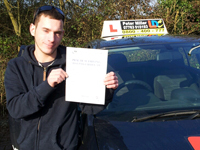 Peter is a very good instructor and is really patient and easy to get on with. "Peter is a Genius!.. I started to learn to drive previously with 2 different instructors but gave up on both occasions. This time I decided to give Peter a call and he gave me the confidence to carry it through and I have just passed my test First Time. Learning with Peter was great with lots of laughter and fun along the way. Thank you Peter, you're a Star!" 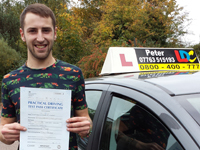 "Peter has been a Brilliant Instructor and its been great to be taught by him. He is easy to get on with and he always tried his best to fit me into to my busy work schedule. 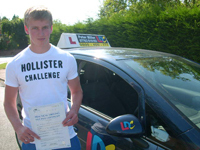 I am so happy to have passed my test First Time and would recommend Peter to anybody looking to learn to drive." 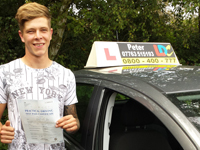 "Peter is a BRILLIANT Driving Instructor! 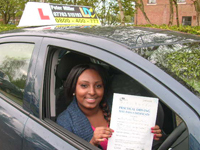 I really looked forward to my driving lessons and passed First Time!" 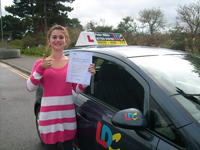 "I started my driving as a complete beginner and Peter was really friendly and helpful throughout my learning. He is a hard task master but knows his stuff. 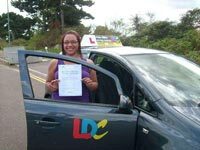 I would definately recommend Peter and the LDC system in learning to drive and I passed my test 1st time with just 4 minor marks." 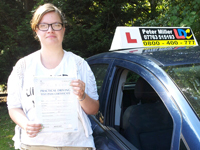 "I have always struggled with my nerves but Peter was very patient with his teaching. 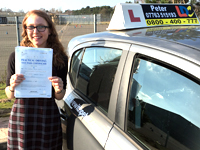 I'm so happy to have passed my test and that's thanks to Peter's guidance and support! 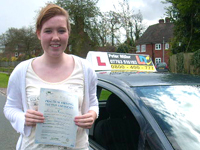 I will miss my driving lessons as there was always such a friendly atmosphere to them. I would definitely recommend Peter to my friends". 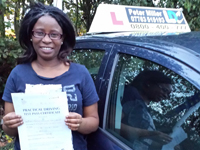 "After spending time with Peter, I have learnt how to drive and pass my test FIRST TIME. It has been fun and enjoyable, Peter is a very friendly instructor and I would recommend him to anybody looking to learn. Thank you for all your help." 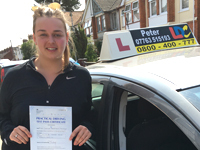 "Peter made me feel very comfortable and confident whilst learning to drive and this meant I always looked forward to my lessons each week. 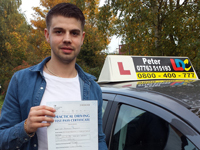 I would thoroughly recommend Peter to anybody thinking of learning to drive". 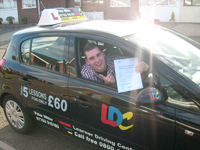 "I've just passed my test FIRST TIME and can't thank Peter enough for all the help and encouragement he gave me. 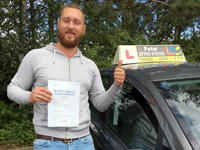 He is a really good instructor and I would recommend him to anybody looking to learn to drive. Thank you very much" .... Ryan. "Thank you Peter for all your patience and for putting up with me when I was getting stressed. I would certainly recommend you to anybody looking to learn to drive. Thanks again for everything love Charlotte." 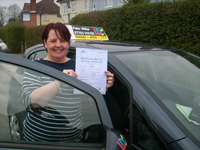 "Thanks for being a brilliant instructor and for all your help (nagging!) in keeping my speed down. Hope to see you when i'm driving round in my Corsa!" 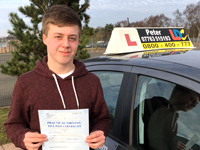 "Peter has been very patient with me whilst learning to drive and given loads of support throughout. 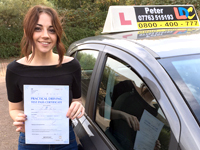 I honestly didn't think I would ever be able to drive as I was very nervous, but Peter helped me stay calm and now I've passed my test". 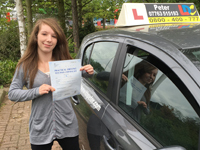 "Thank you so much Peter for teaching me and helping me pass FIRST TIME - Your the best instructor ever!!" Peter is a great instructor who was always on time with his lessons. 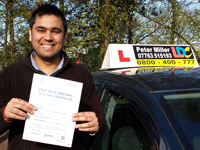 He offered me great support and quality lessons which allowed me to pass my test with just 2 minor marks. Thank you for all your help. 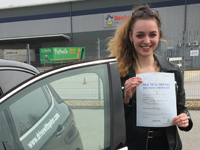 "At the beginning of learning to drive I was quite nervous on the road, however with Peter's excellent teaching methods I soon began to feel comfortable. 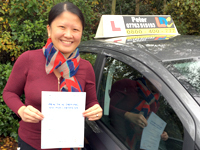 The way Peter teach is very helpful and easy to take in and as a result I passed my test First Time. I would happily recommend Peter to anybody looking to learn to drive. Keep up the good work and I will be in touch to book my Pass Plus course." 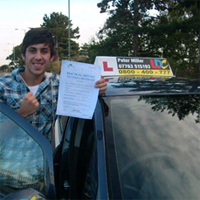 "Peter has been amazing, he is a brilliant instructor and kept me calm at all times and made my driving experience fun. I can say I will miss him and just a big thank you for getting me through my test and helping me pass first time". 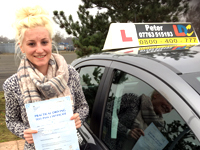 "After a year of learning to drive with Peter, I have passed my test FIRST TIME. I was a very nervous driver and Peter always made me feel comfortable and put me at ease. He gave me the self confidence I needed. I would recommend him to anyone!" 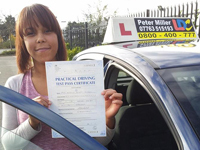 "Peter is a fantastic instructor, he's very patient and was great at boosting my confidence as I am a nervous driver. 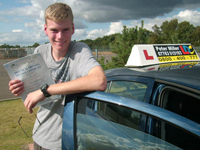 I can not recommend him enough as a instructor, he also has a good sense of humour that puts you at ease when learning to drive". "Thank you, thank you, thank you! Sorry for all the times i nearly crashed your car! I'm going to miss my driving lessons and remember me when you go past "Sian's corner". I know I could sometimes be annoying but also that you secretly loved my driving lessons. Thank you for everything and I will be recommending you to my friends. Don't forget me! Peter has been a great instructor and helped me with plenty of laughs all the way through to my test. I really could not have chosen a better instructor to teach me and i would definitely recommend him to anybody looking to learn to drive. Thanks again for all your help. Peter is an awesome guy and has a wicked sense of humour. He made driving fun and never failed to make me laugh or smile. I'll definitely miss him but I'm glad I've passed. 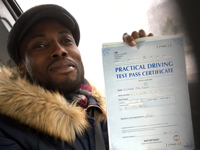 I had an amazing learning experience with Peter and because of him and LDC, I successfully passed my practical driving test first time. Thank you Peter and LDC for all you have taught me." Peter is a professional instructor. He is very laid back and puts you at ease as soon as you get into the car. I have enjoyed learning with him and passed my test 1st time. I would highly recommend Peter to anybody looking to learn to drive. Its been an amazing achievement to get a complete novice to pass my test FIRST TIME in just 3 weeks. 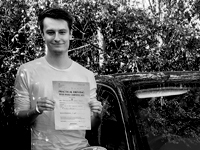 Thanks to Peter's effort and hardwork from the start, I have been made to feel calm and taught to really enjoy driving, something I'm sure i'll keep with me all my driving life. Thank you so much Peter! Peter was relaxed with his teaching but very professional in his approach in helping me to learn. 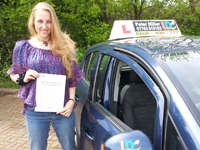 I have passed my test in just 2 months and believe by contacting Peter I made the best decision ever. Thank you Peter for all your help. 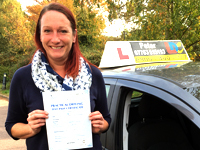 "today is one of the best days of my life, I am so happy that i've passed my test. Thank you Peter, very very very much." "many thanks Peter for all your encouragement and help in getting me through my test, it was the hardest but best experience of my life - loved every minute of it, the tears were all worth it!!" 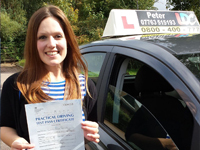 "I have just passed my driving test and so pleased that I chose Peter as my instructor. On occasions whilst learning to drive I lacked confidence and Peter was always there to help me through and give me encouragement to continue. 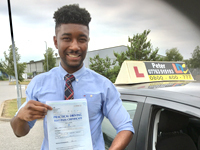 I would highly recommend Peter to anybody looking to learn"
"Peter my instructor was extremely helpful throughout my experience in learning to drive. He gave me a confidence boost whenever I felt that my driving wasn't up to test standard. The LDC system that Peter use is very efficient and easy to follow. Without his support, I don't think I would have passed my test in such a short period of time. I am now looking to take the Pass Plus course and will contact Peter to make the arrangements. 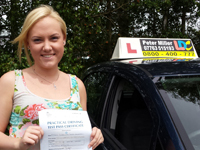 Thank you once again..."
"Peter is a great instructor, very encouraging and patient. I would highly recommend him to anybody looking to learn to drive. He's GREAT, FANTASTIC AND PAID ME TO WRITE THIS MESSAGE!!!" "Peter was really helpful from the start to finish. He was relaxed when teaching and when giving instruction he was very detailed and showed me exactly what to do. I would recommend Peter to anyone as he is very down to earth and a laugh. (I will miss the banter) Overall I have enjoyed my experience with LDC and Peter. Thank you for everything and putting up with me. 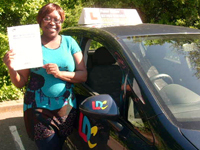 Thanks again, "
"I am so pleased I passed my test using the LDC system, Peter my instructor, made it an enjoyable experience and he even helped to calm my nerves!" 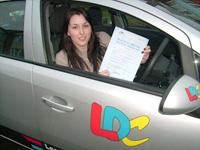 "I passed my theory exam first time using the LDC study course. I have now just passed my practical test, again first time on the LDC Semi - intensive course in just over 3 weeks! Peter my instructor helped me throughout my course and I can't thank him enough for all the expert tuition he gave. 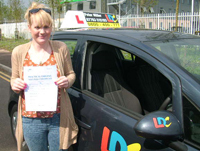 He was very supportive throughout my lessons and I found the LDC system easy to follow." I recently passed his 'L' Test using the highly acclaimed LDC system. 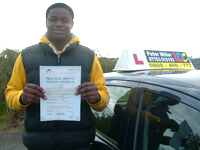 He went on to say "Peter my instructor, was very helpful and patient with me during each lesson. As we were nearing my test date I began to doubt my own ability at passing. He gave me the confidence I was able to pass and he was proved right"